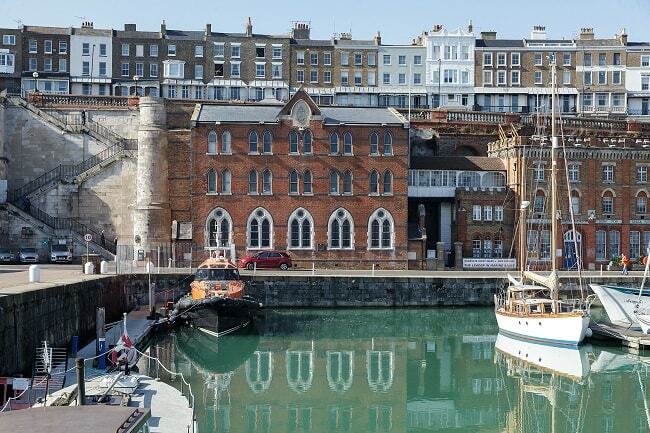 A bid by Thanet council for funding to create a hotel and wedding venue at the Smack Boys Home and Sailor’s Church at Ramsgate harbour has failed. A submission was made last year to the government’s Coastal Communities Fund which had a £40million pot available for spend from April 2019 to end of March 2021. Funding is given to projects costing over £50,000 that will ultimately lead to regeneration and economic growth while directly or indirectly safeguarding and creating sustainable jobs. The bid for Ramsgate was for conversion, and extensive repair work, to the Military Road properties. The church is open every day of the year and holds occasional concerts – the rest of the building is not open to the public but is used as office space and by the Sea Scouts and Sea Cadets. In May Thanet council spoke to those involved in the cadet group about possible relocation to a new premises. 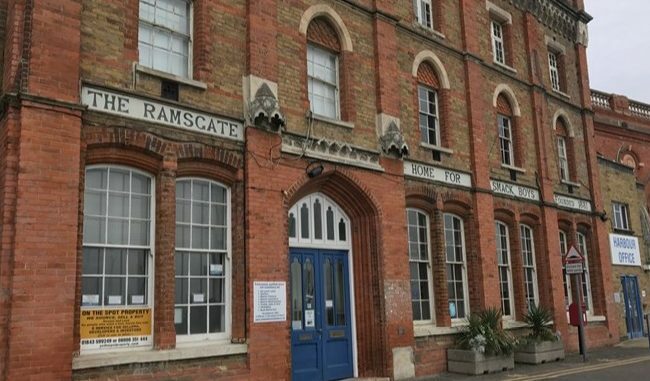 A spokesman for the Ministry of Housing, Communities and Local Government said: “We received a bid from Thanet council for The Smack Boys Home and Sailors Church, for funding from Round 5 of the Coastal Communities Fund, which was unsuccessful. “In the past, Thanet council has submitted two successful bids for funding from our Coastal Communities Fund. It won a £1.9 million CCF grant in 2014 to restore the Dreamland Art Deco Cinema, Margate, and received a £247,000 grant in 2015 to enhance the Thanet visitor experience. 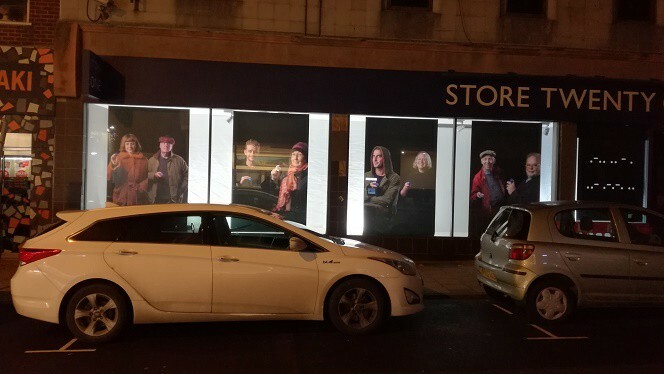 Last year The Margate School secured a bid for £499,000 from the Coastal Communities Fund to provide early technological support to help revitalise ‘ghost premises’in the High Street. The aim is for a ‘Pop Up’ facility for digital printing and imaging with analogue. The school will also use the old Midland Bank building and adjacent shop premises for specific enterprise training/workshops for desk-based support and mentoring sessions. 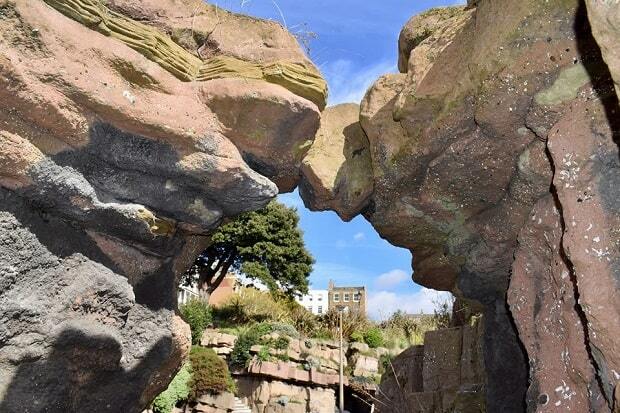 In November it was announced that the Ramsgate Coastal Community Team had been successful in its bid for £50,000 from the Coastal Revival Fund to repair and restore the Pulhamite rock gardens at Albion Gardens/Madeira Walk. What about asking the National Lottery fund.